3 architectural drawings on 1 sheet, Competition entry 335, City Hall and Square Competition, Toronto, 1958, by T. R. Feinberg of the United States. Perspective drawings of main corridor looking north and view from corridor. Perspective drawing of lower court under Council Chamber. Feinberg, T. R. , “T. 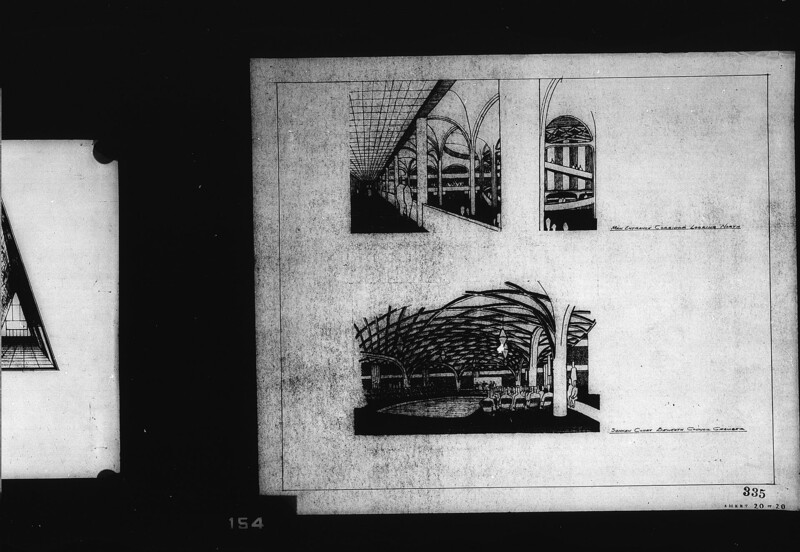 R. Feinberg entry City Hall and Square Competition, Toronto, 1958, three perspective drawings,” TPL Virtual Exhibits, accessed April 19, 2019, http://omeka.tplcs.ca/virtual-exhibits/items/show/1391.